Join Master Copywriter Steve Slaunwhite each Tuesday for tips on B2B copywriting, landing clients, and growing your freelance B2B copywriting business. B2B Writing Success will inspire and encourage you! Subscribe so you don't miss a single episode. Do you feel like your path to success is a winding road instead of a straight path? Then this podcast episode is for you! Hear how Judy Olbrych found her way as a B2B copywriter. Whether it&apos;s a challenge to overcome or a short-term goal, Steve Slaunwhite explains a simple process he learned from Zig Zigler to help you achieve more than you thought you could. One of the biggest problems we can have as freelancers is cash flow. In this week&apos;s podcast, Steve Slaunwhite has six tips for getting paid more quickly. When you&apos;re ready to level up your copywriting business, these four strategies will help you make more money in the same amount of time. There are definite advantages of working from home. But there are a few challenges too. In this podcast episode, Steve Slaunwhite shares seven tips to make working from home productive and enjoyable. Should You Create Multiple Streams of Income? Your core revenue stream is probably B2B copywriting. But should you add additional ways to generate revenue to your business? Steve Slaunwhite helps you determine if multiple revenue streams are smart for you. Need a project now? In this encore episode, Steve Slaunwhite talks with Amy O&apos;Donnell about finding clients using Upwork. In this listener favorite episode, Steve Slaunwhite explains his five-step process for increasing your income 50% or more. You need clients. They need you. So how do you connect? Steve Slaunwhite outlines the six main ways clients find you. When you're a freelance copywriter, taking time off without losing business can be tricky. Here are four strategies that have worked for Steve Slaunwhite. 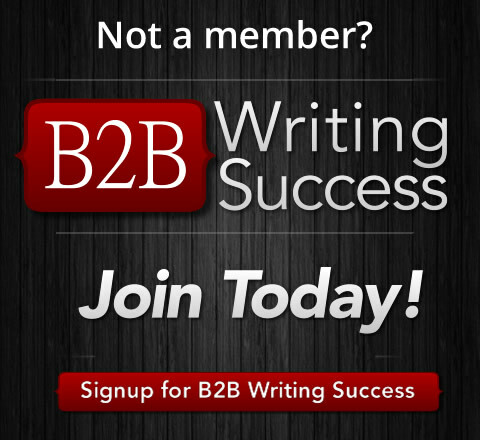 B2B Writing Success | American Writers & Artists Inc.